Getting Married? 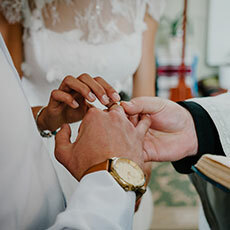 Would you like to take the FOCCUS© Pre-Marriage Inventory as part of your marriage preparation process? If so, you will need to contact a trained FOCCUS Facilitator to gain access to the inventory and discuss your results. Ask whether your religious, counseling or educational organization has FOCCUS Facilitators, or find a FOCCUS Facilitator using the search tools below!